Being part of the Navy Yard community includes access to a diverse business community that offers opportunities not just for business growth, but also initiatives to foster civic and corporate engagement in the community. Representatives from Navy Yard businesses and employees meet quarterly as the Navy Yard Engagement Committee to discuss and plan community events and programs. One of the key areas of Navy Yard community engagement is focused on education, and in collaboration with the School District of Philadelphia, the Navy Yard adopted the F. Amedee Bregy Elementary School — Bregy for short. 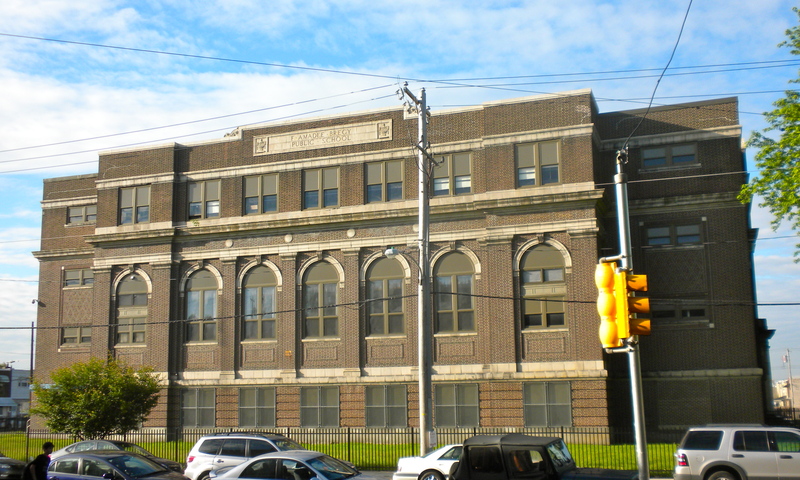 Bregy is a historic school located in the Marconi Plaza neighborhood of South Philadelphia, and is one of three public elementary schools located in the Navy Yard’s catchment. With a focus on academics, technology, the arts, science and social skills, Bregy provides access to the latest technology across all grades K through 8. Our goal in this adoption is to support, collaborate in, and facilitate opportunities for the students of Bregy Elementary to achieve their full potential. In 2018, we hosted a Field Trip to the Navy Yard where students experience the history of the Yard, and had the opportunity to learn about future development goals. 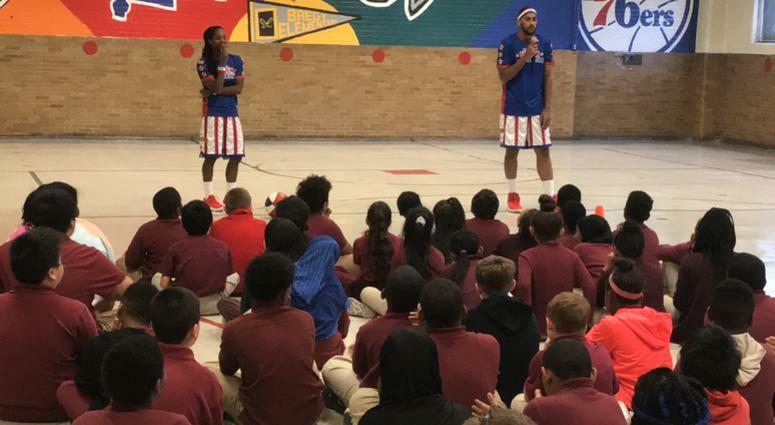 We also sponsored a Harlem Globetrotter’s Anti Bullying Assembly where students were able to learn the Globetrotters TEAM approach to bullying (Talk, Empathy, Ask, and Mobilize). In conjunction with this assembly, the Bregy School was given the opportunity to host a Harlem Globetrotter Club Level Fundraiser in March 2019 with $5 from each ticket going directly to Bregy Elementary School! Throughout 2019, be on the lookout for opportunities to support Bregy and volunteer with the Navy Yard.